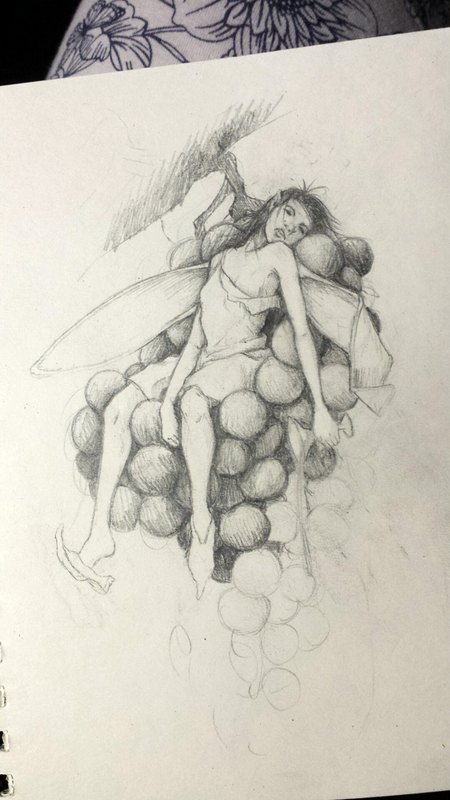 As predicted, I changed the design of Wino Fairy. I thought she looked too cherub like, too jolly. A true wino fairy would look disheveled, out of it and well…pissed. Once this delightful creature is finished I’ll get a better scan up on here for you to see.